Home Free – This Friday! You don’t want to miss “HOME FREE” at The Mansion Theatre this Friday, June 16 at 8 pm. Great Seats are still available! 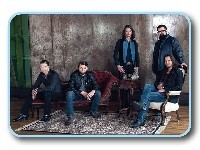 Hailing from Minnesota, Home Free is the world’s premiere country all-vocal band. They have performed thousands of shows over the years and across the country since their initial founding in 2000. In 2013, Home Free won Season 4 of NBC’s The Sing Off, catapulting them into national stardom. Taney County drivers can expect nighttime lane closings and crews and equipment close to traffic on sections of Highway 248, Business 65 and Highway 76 beginning next week. Contractor crews will be resurfacing the state routes with new asphalt driving surfaces. During the project, crews will be on the road during nighttime hours from 8 p.m. to 6 a.m. Sunday through Thursday. Work begins Monday, June 5th on a two-mile section of Highway 248 between Shepherd of the Hills Expressway and US 65 in Branson. On June 19th, crews will begin working on Business 65 between the Lake Taneycomo Bridge and US 65 in Hollister. Then on June 26th, crews will begin resurfacing a 12-mile section of Highway 76 between U-S 65 in Branson and a point west of Highway 160 east of Forsyth. MoDOT says crews will be adding up to two-foot wide shoulders in some areas, and upgrading guardrails at bridge ends. Temporary traffic signals will regulate one-lane traffic around the clock during this portion. Weather and/or construction delays may alter the work schedule.